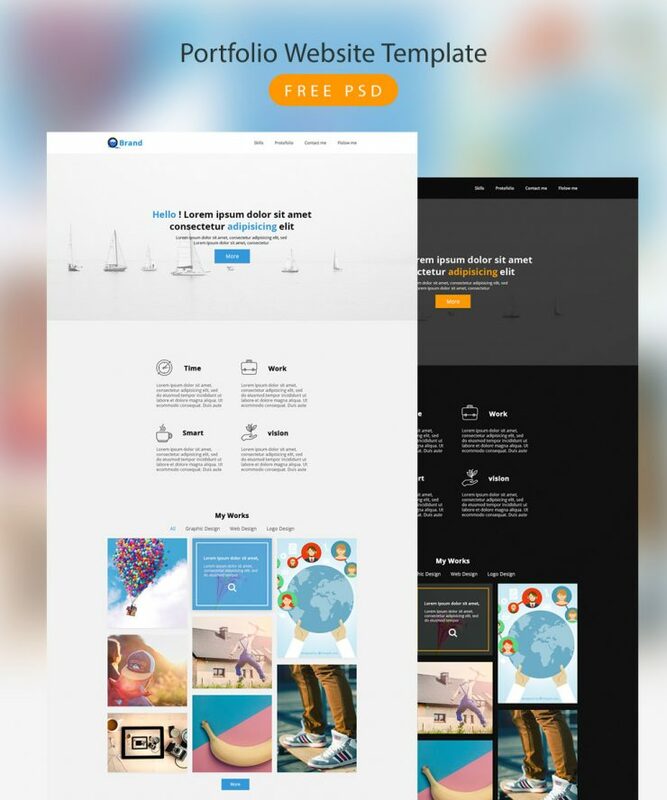 Download Portfolio Website Template Free PSD. Here’s a free portfolio website template with a clean design. This Personal Portfolio website template has well organised layers and made using the twitter bootstrap 1170px grid system. The Portfolio Website Template Free PSD comes in a dark and light version. you can just crop out a thumbnail out of your work and update portfolio section. Feel free to use it for your personal Portfolio Website. Hope you like it. Enjoy!